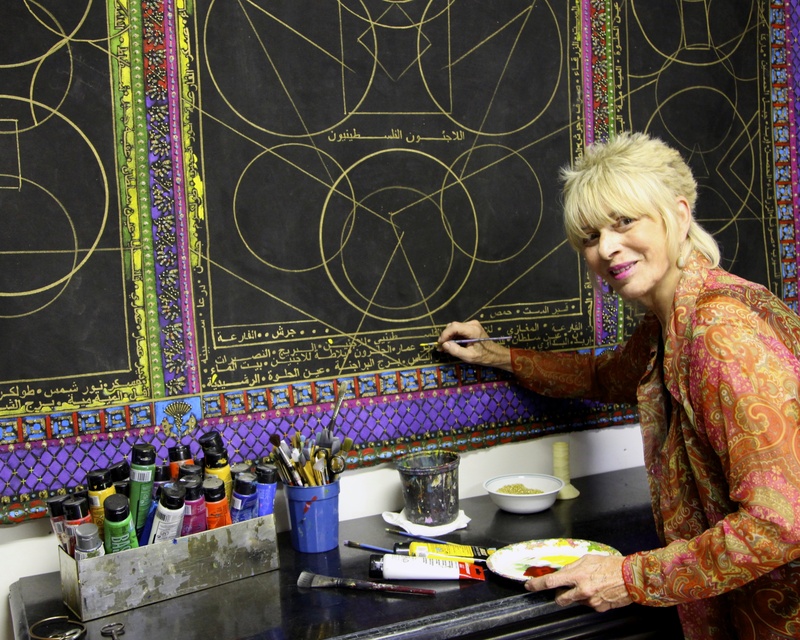 Arizona artist Suzanne Klotz has been awarded a Fulbright Scholar grant to create a collaborative art salon with Palestinian women in Amman, Jordan during the 2013-2014 academic year, the United States Department of State and the J. William Fulbright Foreign Scholarship Board announced recently. From August 31, 2013 to January 31, 2014 Klotz will conduct an art salon entitled, “Seven Women’s House Keys,” working collaboratively in both traditional and conceptual art making practices with seven Palestinian women who were dispossessed from their homes in Palestine and are living in refugee camps in Amman, Jordan. The canvas they will work on collaboratively (58 x 87 inch) will conceptually address each woman’s remembrances of her family life, home and village in Palestine. Suzanne spent the past year creating an elaborately beaded, painted and embroidered border on the canvas. The names of the two hundred and forty-seven Palestinian refugee camps (in Jordan, Syria, Palestine, and Lebanon) are written and beaded in Arabic calligraphy on the border of the canvas.